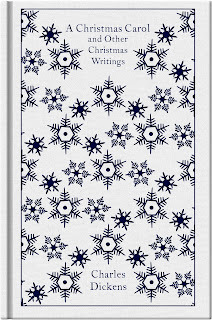 A Literary Odyssey: A Christmas Carol by Charles Dickens. I admit, this was my first Dickens and I hated it! If I hadn't known the story already, I wouldn't have understood a word I was reading. The language was so tough compared to other Dickens I've read since then. I didn't even want to try him again for a long time, but finally read Great Expectations (which i enjoyed) and Bleak House (which as you know, I hated). :/ I do wish I loved this one because it seems like a great Christmas tradition to read it. how can you use the word HATE pretaining to anything!! !Its no wonder you couldnt understand a word you were reading!!!! "nothing can beat the power and magic of Dickens' words"...I had this same reaction last Christmas when I read A Christmas Carol for the first time :)Loved it! I really enjoyed it as well, though I must say my heart will forever be dedicated to the Disney animated film. 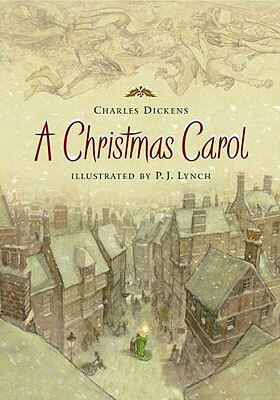 I love A Christmas Carol - it's one of my favourite Dickens novels so far. I was hoping to re-read it this year but haven't had time. 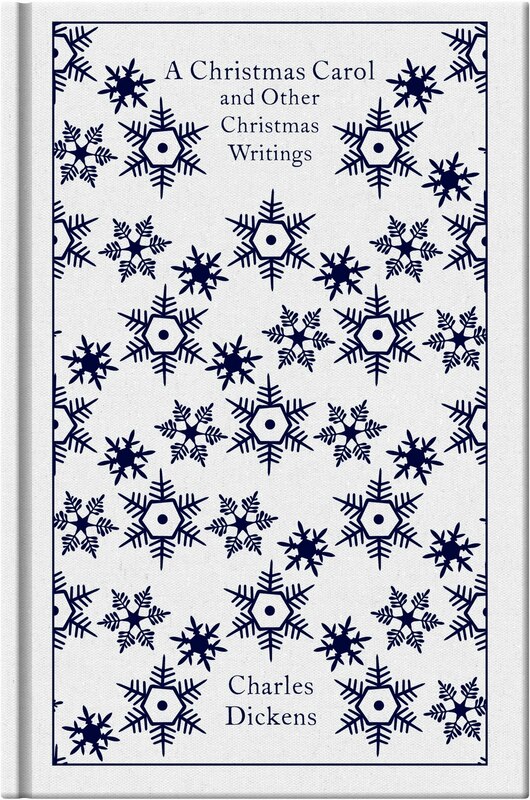 And the white cover is so beautiful - I wish I had that edition! Like so many other people, the Christmas (I’m sorry, but I won’t be “politically correct” about it) season is one of my favorite times of the year. And one of my favorite ways to celebrate is by reading my favorite Christmas stories or watching my favorite Christmas movies. Charles Dickens’ “A Christmas Carol” fits the bill in both cases. Dickens wrote his fabulous and timeless novella in 1843. It was published just in time (December 19) for Christmas itself. There are a number of movie versions that have been made. My personal favorite, by far, is the 1938 effort, starring the fabulous Reginald Owen as the irascible Ebeneezer Scrooge and the wonderful Gene Lockhart as the selfless and ultimately triumphant Bob Cratchit. I watched it again (for the umpteenth time) the other night and it truly gets even better over time. That Christmas dinner enjoyed by the Cratchit family always puts a joyous tear in my eye. And so does the incredible transformation that Scrooge undergoes, from “bah humbug!” to finally embracing the true Christmas spirit. Dickens wrote “A Christmas Carol” during a time when the “old Christmas trends” were rejuvenated in England for real. So I like to think of this marvelous story as a fairy tale come true. For me, more than anything, Christmas means a rekindling of genuine human spirit between family, friends, anyone. Presents are nice, of course. But if we can all somehow take this time to make the shift, from “less Scrooge” to “more humane,” then all is truly a miracle to enjoy every year. I like to think that the same kind of emotional warming, an upsurge of compassion, commiseration, empathy and, most of all, fun, is what PoemsToGo.org is all about. The absolutely original (everything we write is based on information that you provide) poems, speeches and toasts that we create are designed specially for people to connect around the big occasions in life: Birthdays, anniversaries, baby showers, weddings, bar mitzvahs, retirement and yes, of course, holidays like Christmas. When we write for you, we do our best to make our work funny, heartfelt and utterly memorable. In our own small way, we try to bring a certain spirit to your life and to those of the people most important to you. See what PoemsToGo.org is all about. Look at a few of our samples. And call on us any time we can be of help. We’ll be more than pleased to write an anniversary poem, a birthday speech or toast for you. Remember, we write for all occasions in the form of poetry or prose. With all my best wishes for a Merry Christmas, a Happy Hanukkah and a Happy New Year. Beautiful post. I'm always captivated and moved by this story, no matter how many times I read it. The way Dickens talks about life, about our actions and their consequences, brings tears to my eyes every time. However, I often move on from the holiday spirit, that state of awareness and knowledge of the really important things in life, far too quickly. It's true, we should be there for people throughout the whole year. And yet that's not always the case, at least for me. I hope to change that once the holidays are over. This is the first year I've ever felt the need to read Dickens, but you and two other bloggers I read have me thinking I should put him on my list of to-reads in 2012. I listened to this a few years ago...it's a fantastic Christmas story! It's been forever since I've read this, but A Christmas Carol is definitely a holiday favorite. You make me want to read it again! I read this last year and felt similar to you--that I was so moved by the book when I knew the story already. I cried like a baby. Merry Christmas! One of the things I love about Dickens is that his slow, unrolling language forces you to slow down. One can't possibly rush through Dickens -- and I like that. It's like going back in time. I read it yearly from seventh grade to college. It's been a few years since I read this at the Christmas season. I love it so much. I definitely need to revisit it -- since not this year, definitely next! 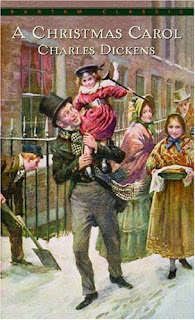 Starting when I was little, our father read Dickens' Christmas Carol to my brother and me for a number of years, starting on Thanksgiving and ending (I wondered how he ever did it!) on Christmas Eve exactly. Since then, I have read it not every year but quite regularly, sometimes several years in a row. Now I can manage it in one evening, often Christmas Eve, tho' I prefer to stretch it out for a couple evenings before Christmas, just for the sake of sentimental comfy-cozyness, remembering the sound of my father's voice as he read certain passages. He was not the theatrical type but he did read very well. I have read it so many times that I could never consider it objectively or critically, just as I become accustomed to the idiosyncrasies and faults of people I really care about. Whatever. The Christmas Carol will always be very much a part of my Christmas, and very close to my heart.